“Why do police support us? Do you know why? Well I will tell you right now. Police support us since they help us be safe. They make sure we are wearing our seat belts and for us to turn on our blinkers and NOT get in car wrecks. We support police by not littering and following the rules. For example, not getting in car wrecks by texting and driving or driving through a red light. So those are some ways we support cops and they support us. If police weren’t here for us, we would get into a lot of trouble. Like if we were in a store and someone stole something, and nobody would found out that that person stole something. 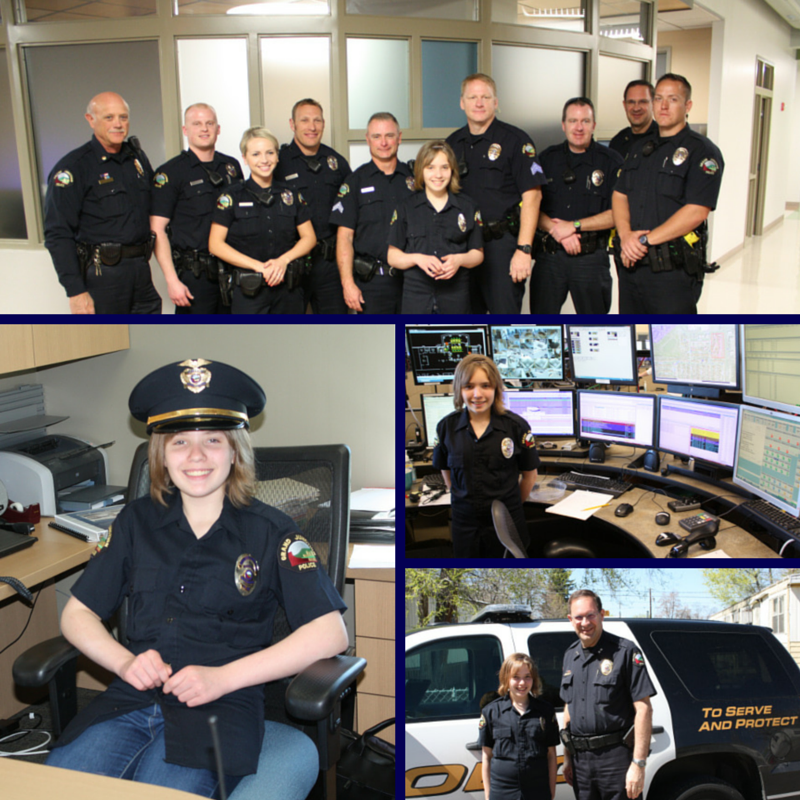 Chief for the day–Annabelle Lively, a fifth grader from Dos Rios Elementary was chosen out of hundreds of letters and drawings to be chief of the Grand Junction Police Department for a day. As chief, she got to ride in Chief of Police John Camper’s vehicle from her home to the police department. From there, she was “officially” sworn in as Chief of Police and began her duties. Such duties included meeting with officers during their briefing, touring the Grand Junction Regional Communication Center and the Grand Junction Police Department, and being awarded a letter of thanks, signed by Chief Camper. This past February, Big-O-Tires created a law enforcement appreciation campaign that involved having school children from all area schools draw pictures and write letters to law enforcement showing their appreciation. These letters and drawings were proudly displayed in the front lobby of the police department, Mesa County Sheriff’s Office, Big-O-Tire stores and in areas where all officers could appreciate them. Ms. Lively says she doesn’t know what she wants to be when she grows up, but she can officially cross being “Chief of Police” off of her bucket list.